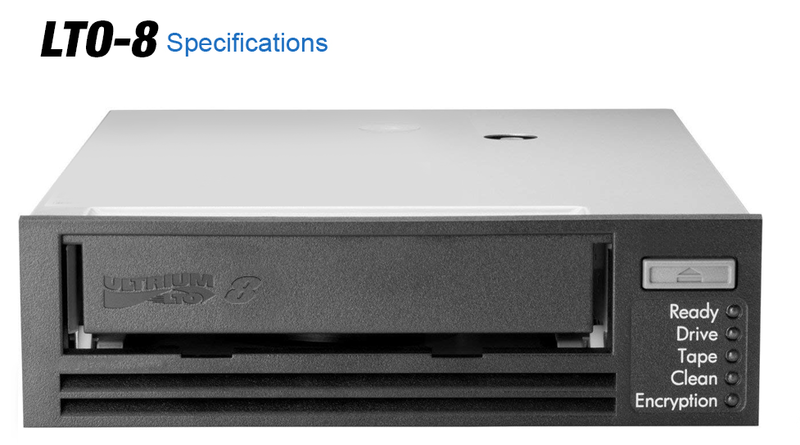 The latest generation of LTO technology is Cybernetics' CY-LT8 Ultrium LTO-8 half-height tape drive. With 12TB (native) / 30TB (compressed) capacity on a single cartridge and up to 750 MB/s sustained throughput, you can backup an incredible 2.7TB per hour. Whether you choose a single or dual drive desktop, or an automated tape library, LTO-8 will deliver the backup performance you need now, while maintaining read/write compatibility with LTO-7. Cybernetics' LTO tape solutions are compatible with virtually every host and operating system and are available with optional features you can't get anywhere else, including iVIEW (which lets you monitor backup jobs from any workstation on the network or from home). Dual drive configurations can take advantage of the Advanced SCSI Processor for striping, mirroring, cascade, independent, and off-line copy verify modes. And, used with iSAN Virtual Tape Libraries, you've got a high performance D2D2T (Disk to Disk to Tape) solution with serverless offload to tape.